We live in the townland of Cappaghglass. 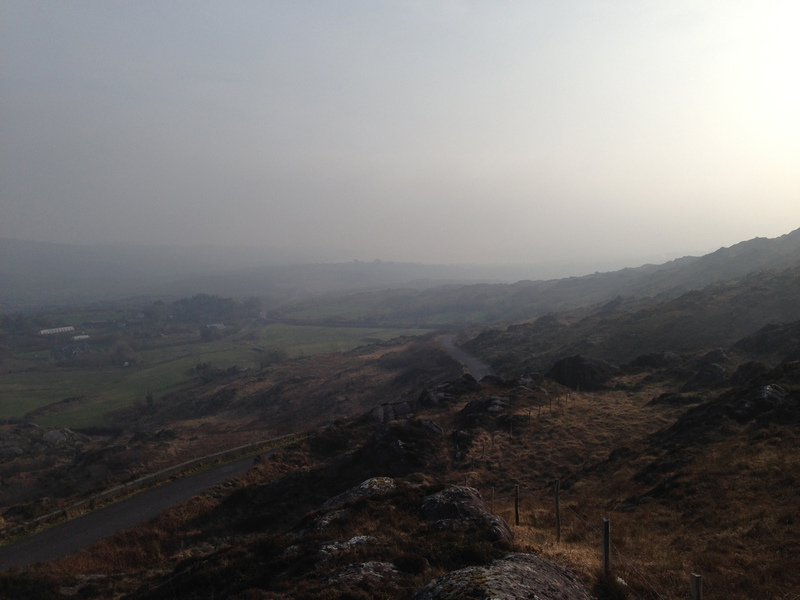 I would love to say that the name derives from the metal that makes up much of its geology – copper, but Finola tells me that way of looking at it comes from my English accent: the Irish word for copper is Copair, while Cappa actually means meadow. Glas or glass means green so – prosaically speaking – we live in ‘Green Meadow’. However, as in so many cases, the history of this little bit of Ireland is writ clearly on the landscape and Cappaghglass is very much ‘copper country’. 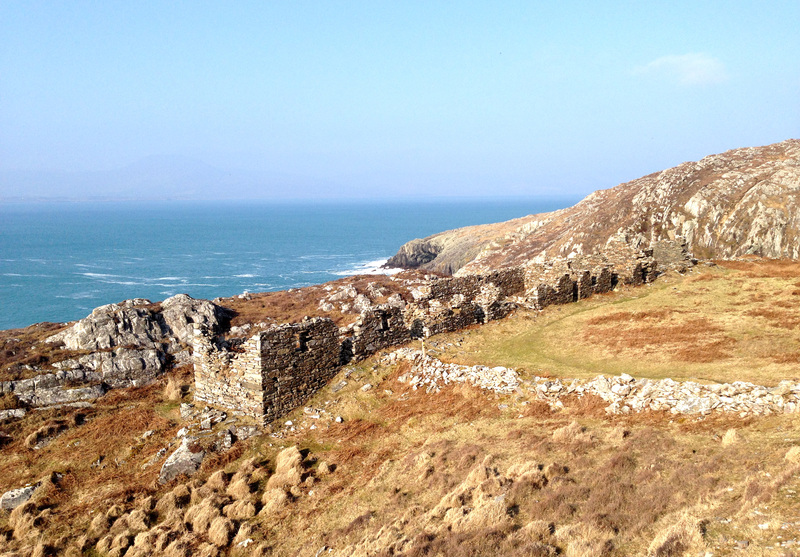 Our own house, Nead an Iolair, is built on territory that was once owned by a nineteenth century copper mine, and legend has it that our Calor gas tank is placed over an old mine shaft! We look out to Horse Island – one of Carbery’s Hundred Islands in Roaringwater Bay: it once supported a copper mine of the same period. Look at the photograph of the number of workers employed there at this time. Now there are merely a few holiday homes on the island. Among the quiet fields and peaceful boreens our townland is strewn with evidence of the industry that once was here: old spoil heaps, barbed-wire protected shafts, supports for overhead ropeways and the base of a famous local landmark: the 20m tall Cappagh Mine chimney which came down in a lightning strike in 2002 which also severely damaged the Mine Captain’s House adjacent to it. Mining here commenced in 1820 and works ceased in 1874. Its best years were the decade 1863 to 1873, when 877 tons of bornite copper ore were produced. 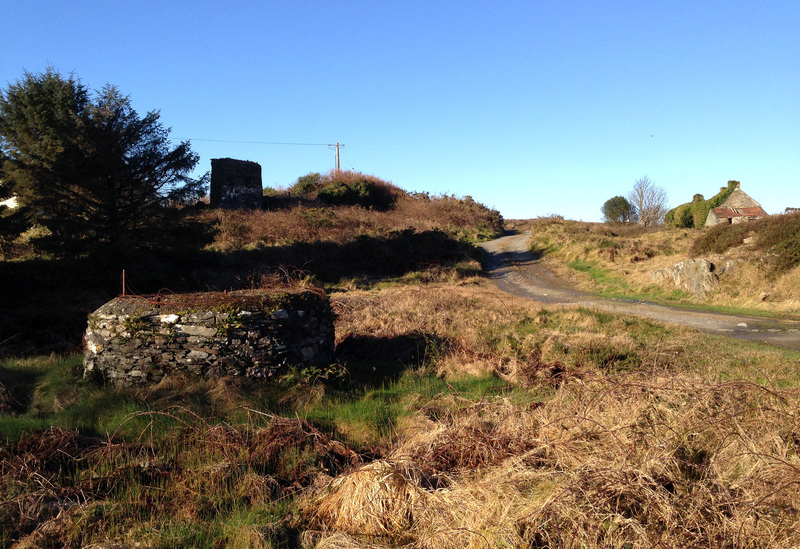 Cappagh Mine: cross section, mine chimney (pre 2002) and our own mine shaft! We went off to the Sheep’s Head last week – in idyllic weather – and were shown the Copper Trail by friends Peter and Amanda. It feels so remote out there, yet the place was a hive of industry when mining was at its height during the Victorian age. 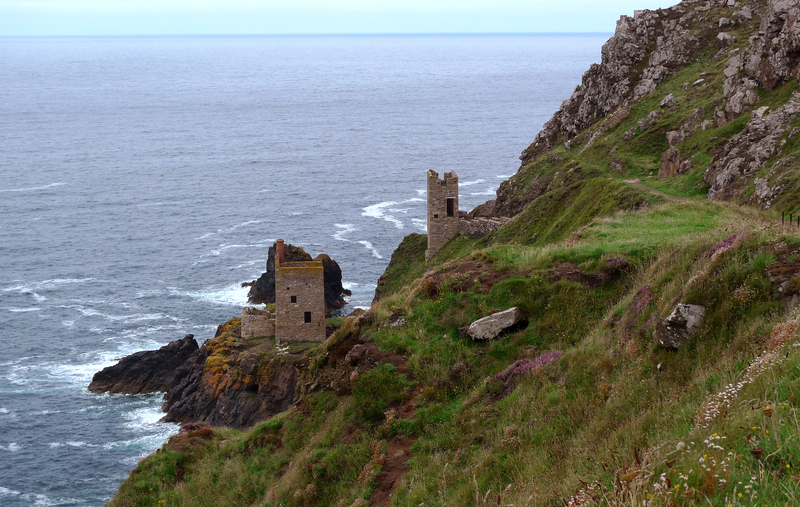 I was fascinated by the row of Cornish miners’ cottages there, and the similarity between this site and the cliff-edge setting of some of the mines in West Cornwall, Botallack in particular. When exploring these pieces of industrial archaeology in Cornwall I was always struck by the incongruity of the incredibly beauty of the places – set against the blue background of the Atlantic – with the hardship and danger of the working conditions that must have prevailed. Here in West Cork, as there in Cornwall, shafts and galleries extended out under the sea bed and the men toiled away in cramped and perilous conditions with the sound of the booming waters above them, while on the surface women (bal maidens) and children worked equally hard preparing the ore for crushing and smelting. 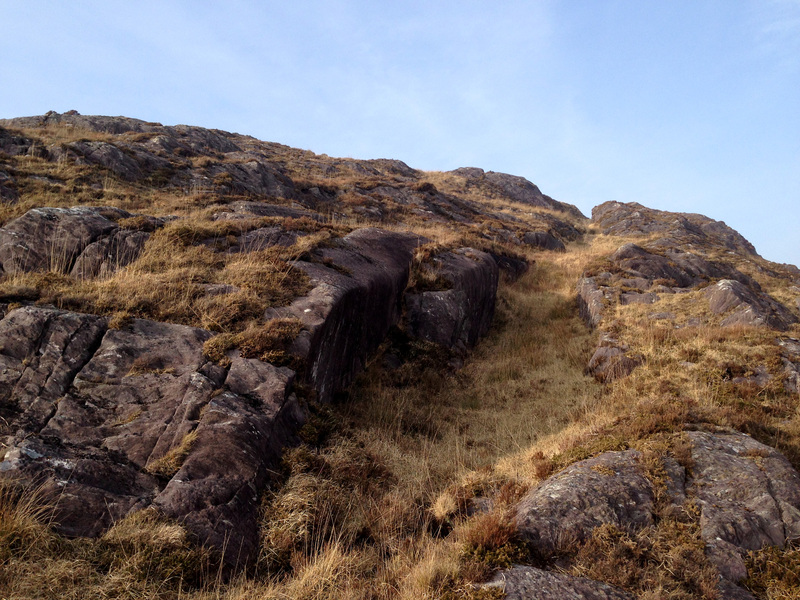 Far longer ago than the nineteenth century, West Cork was being worked for copper ore. On the steep sides of our local Mount Gabriel there is evidence of copper mining dating back 3500 years to the Bronze Age. UCC Professor of Archaeology William O’Brien carried out research and excavations during the 1980s and traced a number of mine workings from this time. The extraction was a well organised process: a supply of good roundwood had to be stockpiled and fires were lit against the rock face where traces of ore were apparent. A hot fire was kept burning for several hours followed by dousing in cold water (of which a good supply was also needed), causing the rock surface to fracture, and this disturbed face was hacked off with stone mauls allowing the accumulation of small quantities of malachite. Constant working on good seams led to excavation into the mountain side, and some shafts have been found extending to several metres. Water ingress was a problem and it seems likely that a system of bailing or pumping was necessary. Eventually the drowned shafts were abandoned and, over time, they became filled with a type of blanket bog. This helped to preserve some of the wooden implements used and – presumably – discarded in them: hammer handles, wedges, picks and shovels as well as planks and ladders; also pine chips apparently used for illumination. There’s a whole lot more to be said – about why metal was so important in the Bronze Age (wealth, in one word) and the whole context of distribution, trade and the technology of bronze itself: bronze production is only possible by combining copper ore with tin, and this was not available locally. In all probability our Cornish and Iberian cousins were making contact with Ireland’s metallurgists thousands of years ago. Interesting that the Rock Art we find in these same hillsides – and which could date from the same period – also has parallels in Britain, Brittany and Iberia. This entry was posted in Archaeology, Ballydehob, Cappaghglass, Horse Island, Industrial Archaeology, Roaringwater Bay, The Mizen Peninsula and tagged Botallack, Bronze Age, Bronze Age Copper Mine, Cappa Mine Chimney, Cappaghglass, Cappaghglass Copper Mine, Copper, Copper mining, Cornish Miners, Horse Island, Horse Island Mine, Mount Gabriel, Sheep's Head Copper Trail. Bookmark the permalink. This is amazing, I came across this while looking for places to kayaking in West Cork. I never knew the place had such an interesting history. Is Horse Island a place that can be visited freely, or is it all private land? Horse Island is privately owned, Colm, but I believe that locally it is considered acceptable to land and walk ‘on the foreshore’… I’m really not sure about the legalities. There are many other (smaller and uninhabited) islands out there that are visiting by boats and kayaks. 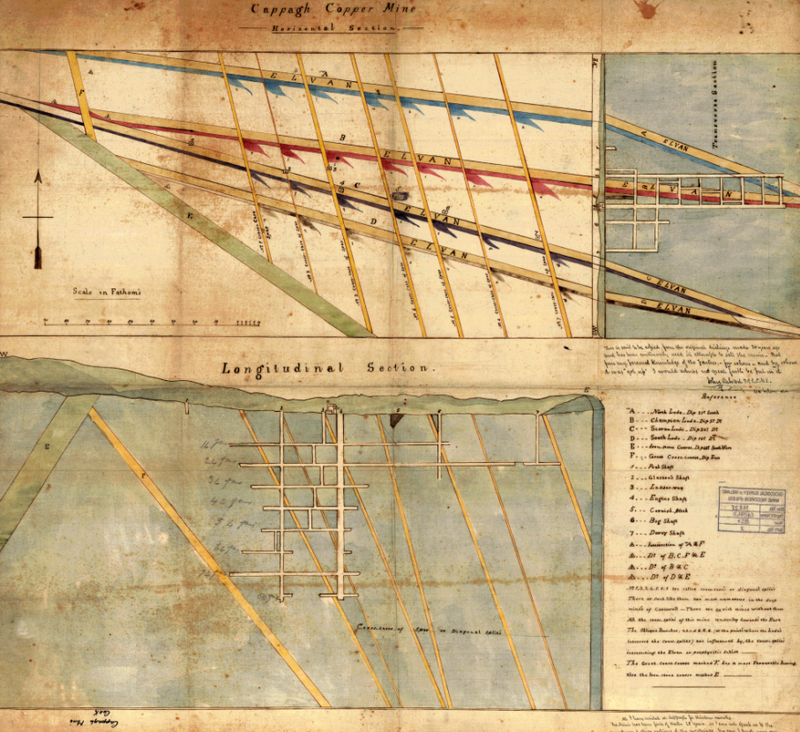 Fascinating to read about your copper mine! I need to investigat eit more thoroughly! Great text and pictures. Robert, we have something in common (other than Finola). 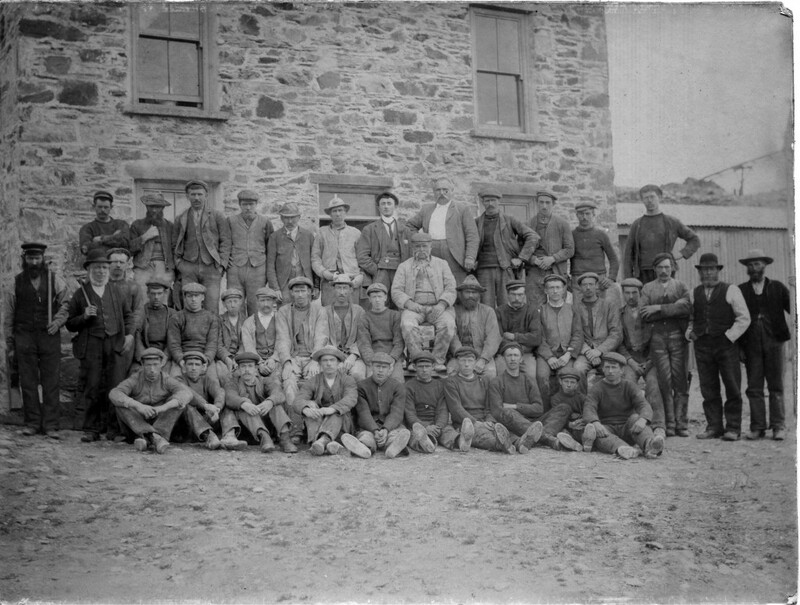 My grandfather, and Finola’s great uncle was manager of a tin mine in St. Just, Cornwall in 1911.